My unofficial consultant on Good Causes Backed by Wonderful Artwork, illustrator (and designer and fine artist and teacher) Bill Carman—featured here at 7-Imp in 2009—tells me about a great list of artists for a great cause, Art Blocks for Ghana, a charity art auction, sponsored by the Picture Book Project Foundation and The Hopkins Foundation. These original works are created by established artists in the fields of illustration and animation, trying to raise funds to help build a children’s home in Ghana in March 2011. Here’s the site for more information. 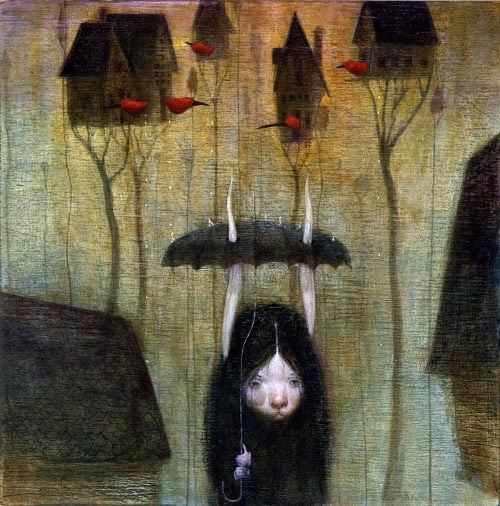 Rain is copyright © 2010 Bill Carman. Used with his permission. All rights reserved and all that good stuff.